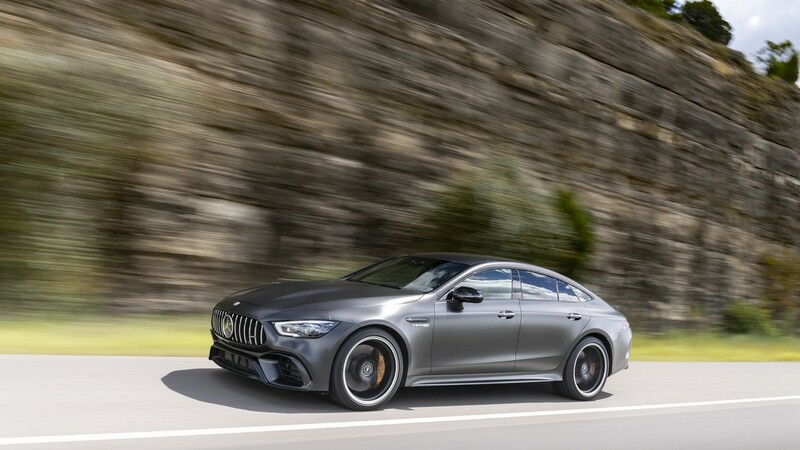 The GT 4-door is not only Mercedes-AMG's 3rd standalone model (after the SLS and GT), but also the Affalterbach-based division's 1st sedan. 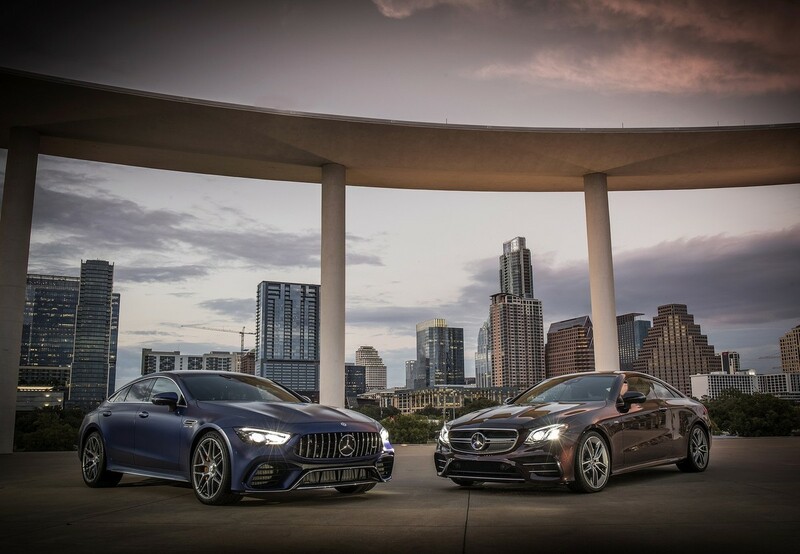 Ross McIlroy travelled to Austin, Texas to drive the most focused performance 4-door that Mercedes-Benz has produced. 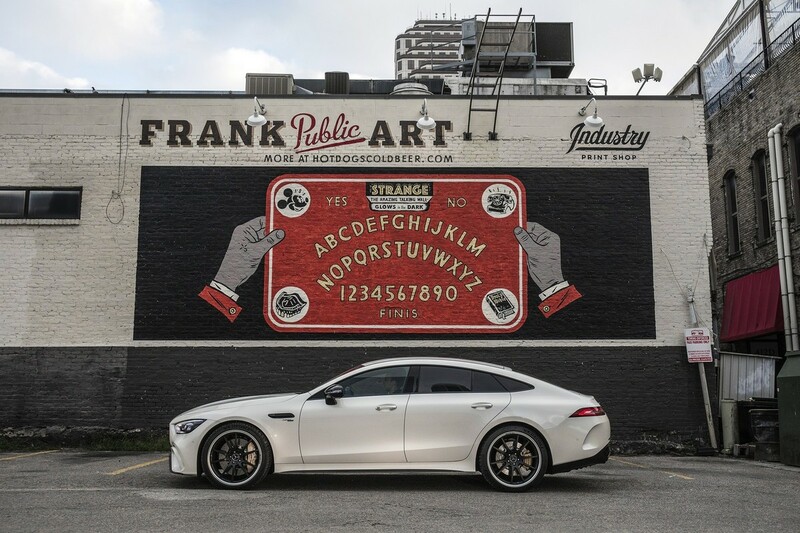 Mercedes-AMG GT 63S 4Matic+ 4-Door Coupe. 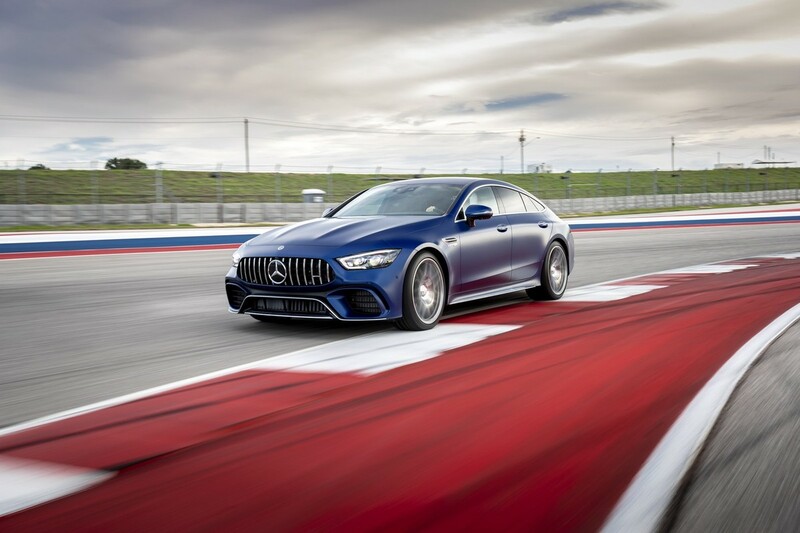 Perhaps it's fitting that the name of the flagship version of the most anticipated performance sedan to be released by the Three-pointed Star in recent memory takes almost as long to say as the 63S needs to accelerate from 0 to 100 kph (in a breathtaking 3.1 seconds). 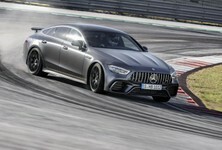 Although the newcomer's moniker suggests that its a 4-door version of the provocative GT (and they certainly do look related), the newcomer is based on the MRA architecture of the E-Class executive sedan, although its imposing front-end styling, low-slung profile and fastback Panamera-esque rear-3-quarter styling set it well apart. 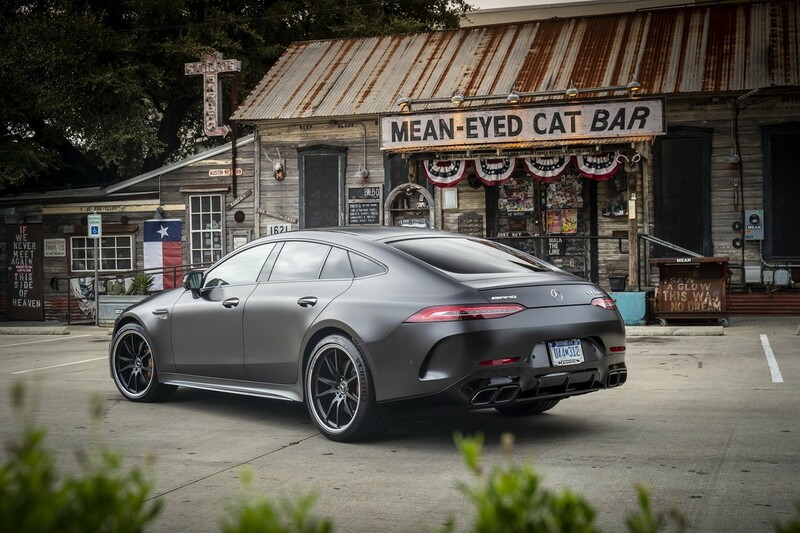 The smoothed sheet metal of the GT 4-door gives the newcomer a cruise missile-like appearance and its expansive grille (with vertical slats) looks menacing. 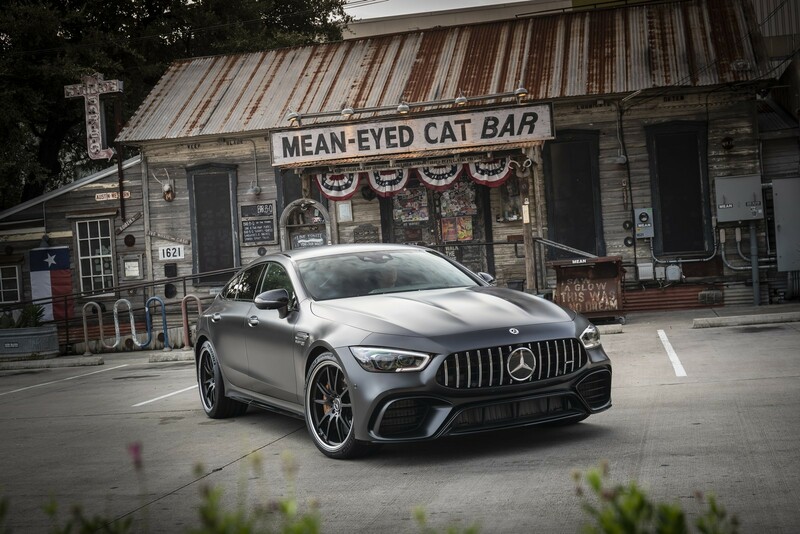 When clad in matte graphite grey, the 63S is a real head turner and we were afforded many admiring glances in the streets of Austin. 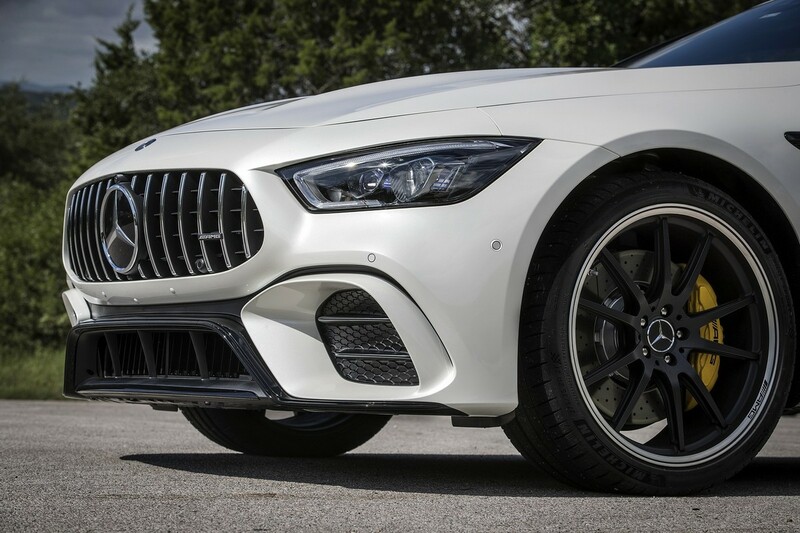 Appearance wise, the front looks super sick courtesy of the Benz's expansive grille, bonnet ridges and gaping air intakes (the central unit incorporates an active aerodynamic flap). As for the back, well that's very polarising... 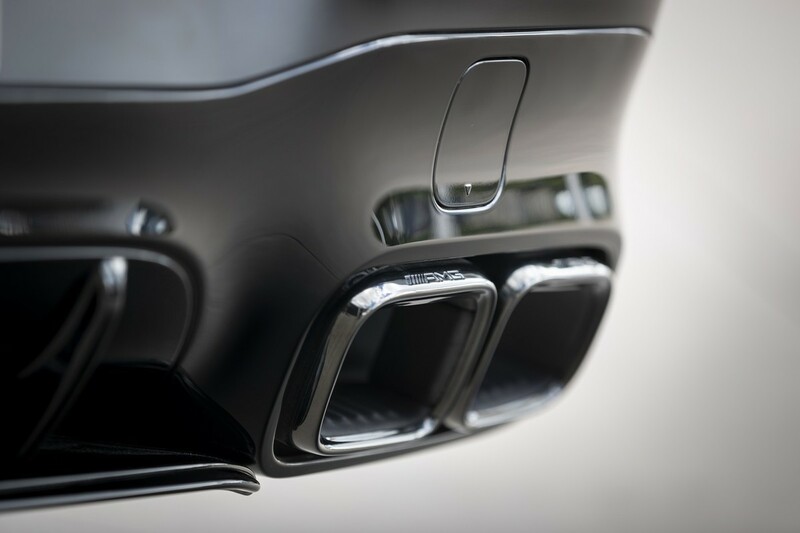 The hatchback-like tailgate, which is fitted with a multi-stage integrated rear spoiler, is an awkward, if immediately recognisable, aesthetic cue. 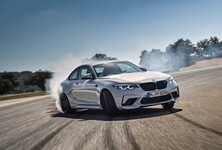 With peak outputs of 470 kW and 900 Nm of torque from its 4.0-litre twin-turbocharged V8, which are harnessed by a 9-speed auto transmission (with shift paddles), a constantly variable all-wheel drive (4Matic) system, a limited-slip rear differential, plus a rear-wheel steering system (which minimises the car's turning circle at parking speeds), the 63S package promised much as we found our way to the windy roads of a nearby suburb and the traffic began to clear. The 63S 4Matic+ flagship impresses with a sure-footed, but pliant ride quality. 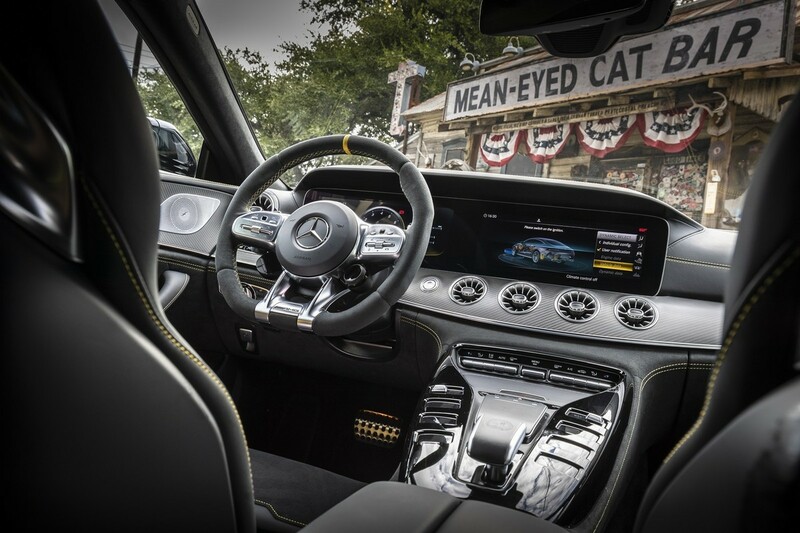 It has no trouble fulfilling the refined (but rapid) luxury car role. 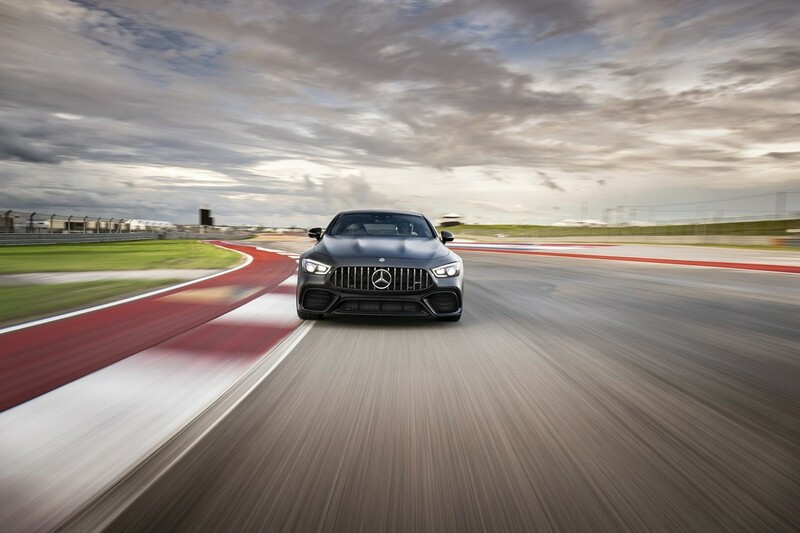 The Benz evidently has more than enough power (replete with an evocative double-cream soundtrack) and feels exceptionally smooth to drive, confidently planted and comfortably-sprung (courtesy of its standard AMG Ride Control+ air suspension setup). 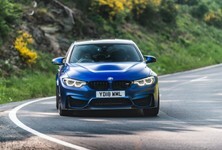 However, given its bold, muscle-bound exterior looks and headline-grabbing performance credentials, the 63S is almost too demure when driven sedately. 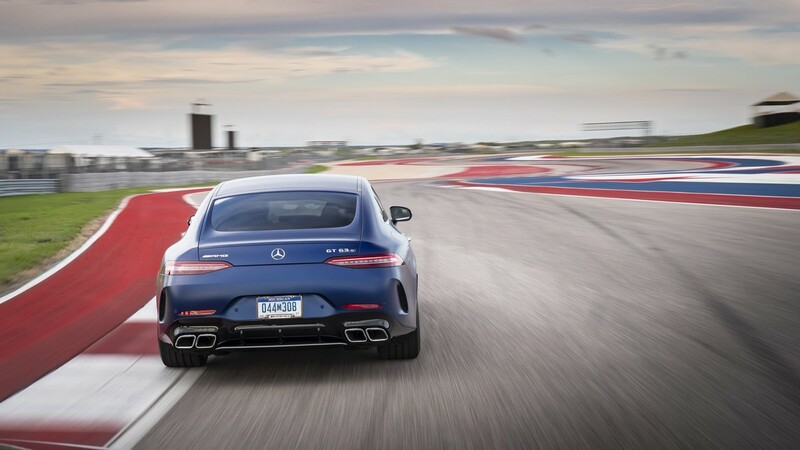 The sound is there, the power is there, but it's not a visceral, unbridled beast. 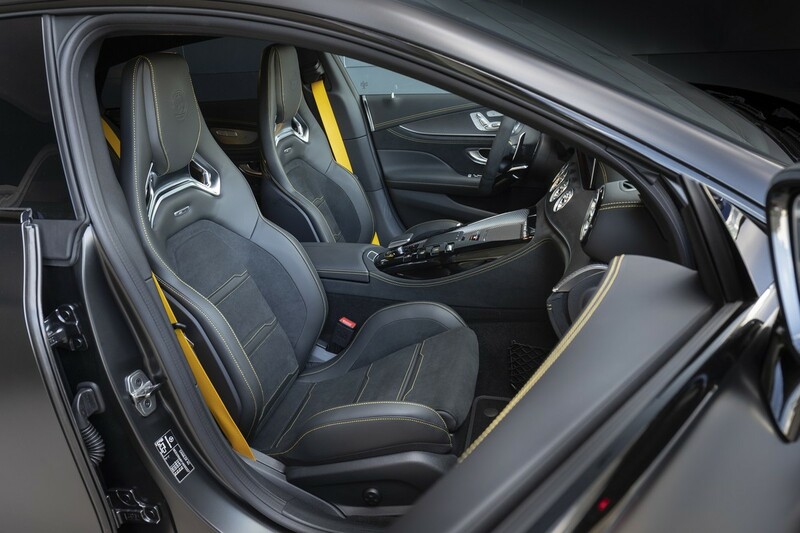 The contoured and well-bolstered AMG seats (with contrast stitching) offer plenty of support in dynamic driving conditions. 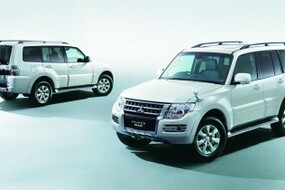 They certainly add a sense of occasion too! 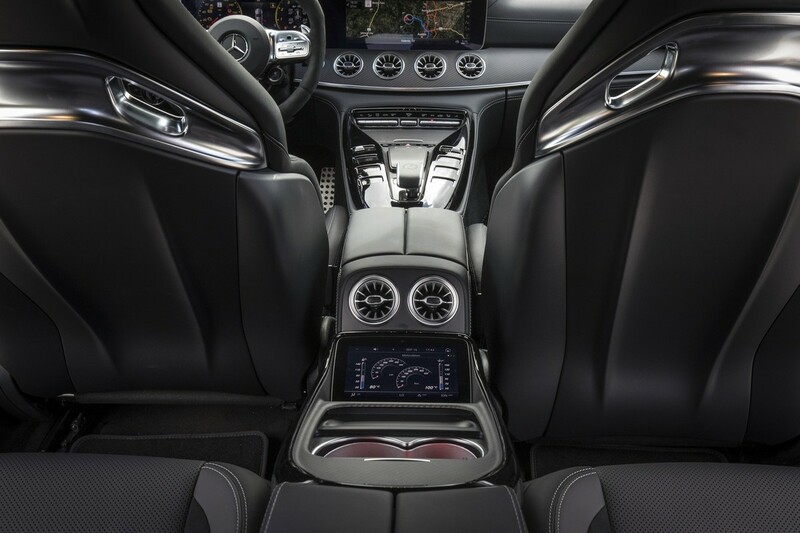 Sports seats (with massaging function) are standard, but we believe the AMG Performance seats with adjustable side bolsters and heating/ventilation function will be very popular. 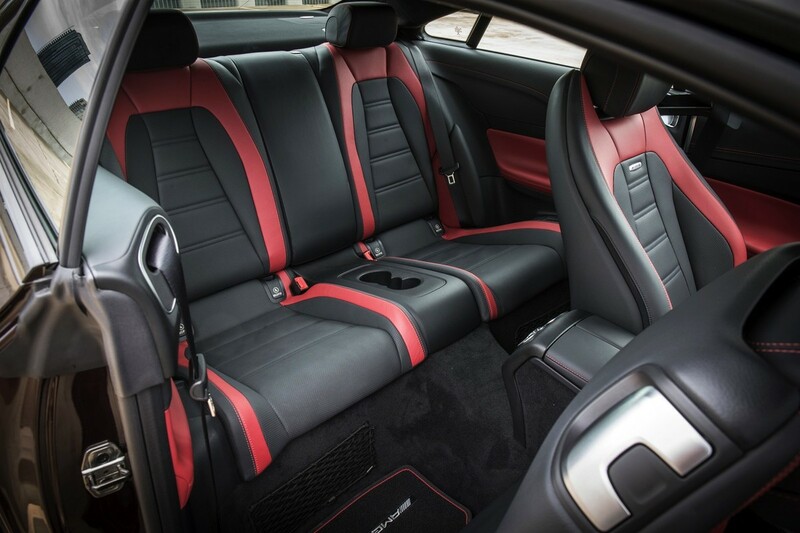 If so specced, the sportscar theme continues at the back, where occupants are not only availed generous legroom, but bolstered bucket seats too. 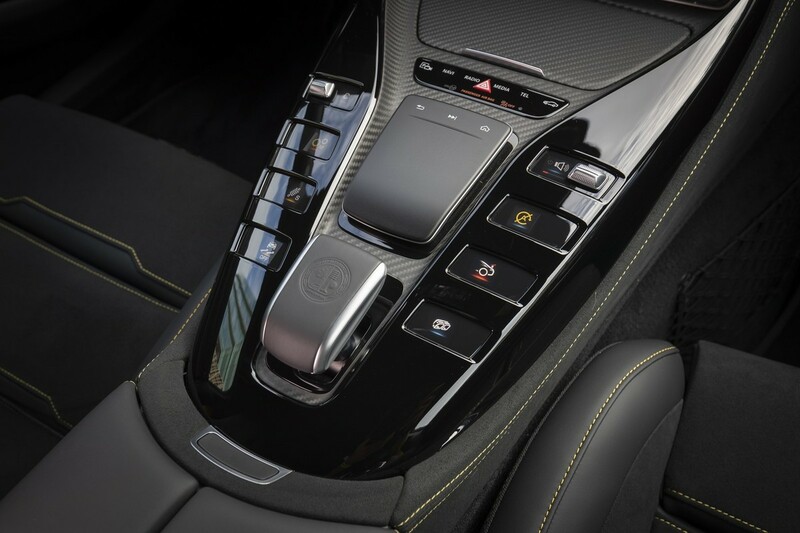 Oh, and the yellow seatbelts and stitching on black seats are epic. 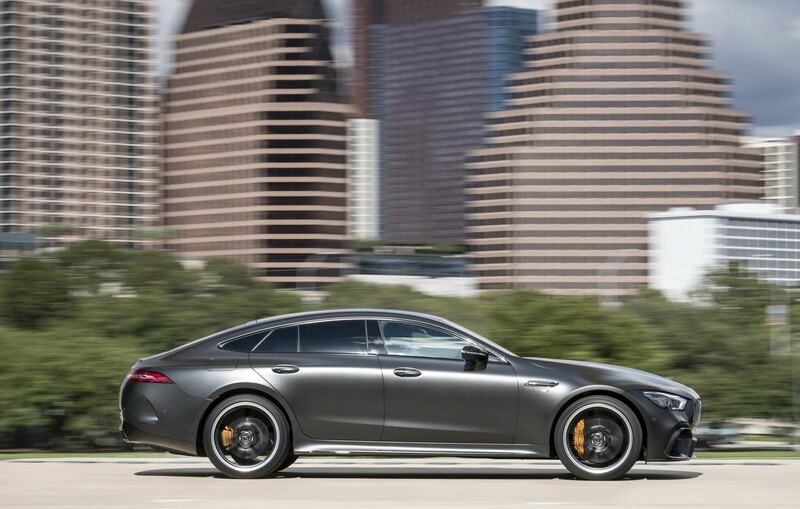 Yellow is Mercedes-AMG's performance colour and the highlights are only available on top-end variants. 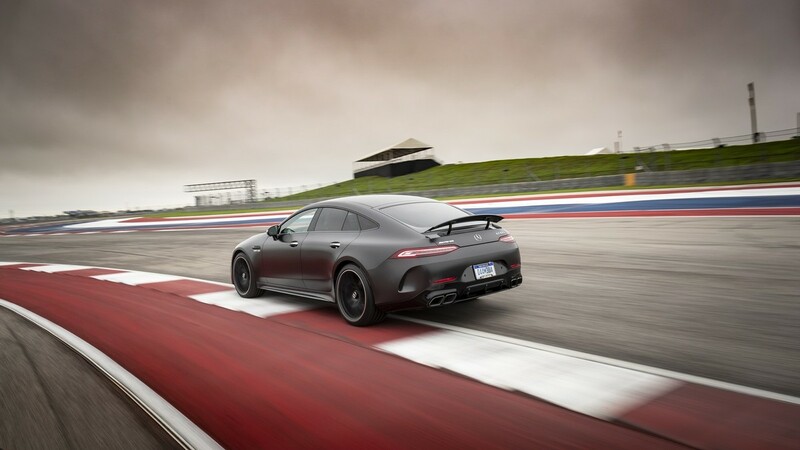 However, luxury was the furthest thing from our minds when we were presented with an opportunity to lap the Circuit of the Americas Formula 1 track in the 63S. 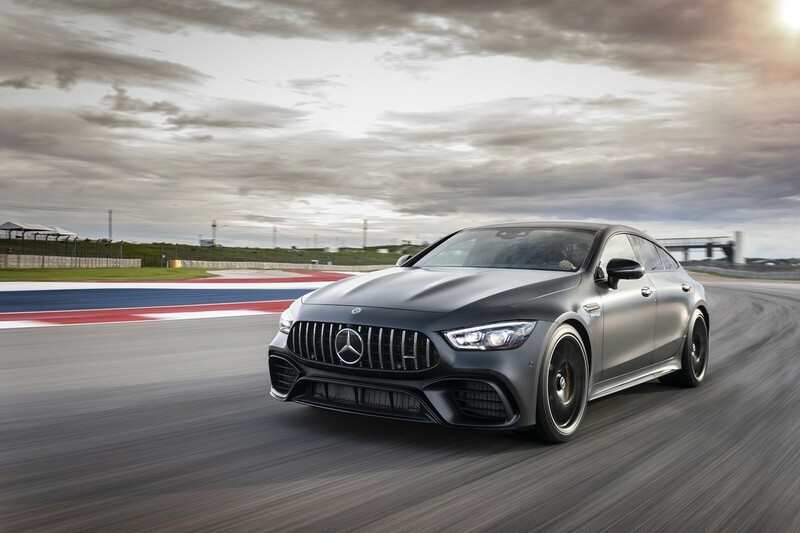 The GT 4-door range features an AMG Dynamics system with 4 selectable settings: Basic, Advanced, Pro and Master, over and above the 6 Dynamic Select driving modes (Slippery, Comfort, Sport, Sport+, Race, and Individual). 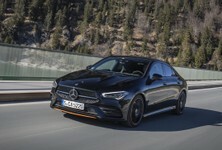 Whereas the flagship tends to hide its pent-up ferocity rather well on public roads, its myriad performance settings enable enthusiasts to utilise the Benz's dynamism to levels that befit their respective levels of driving skill. 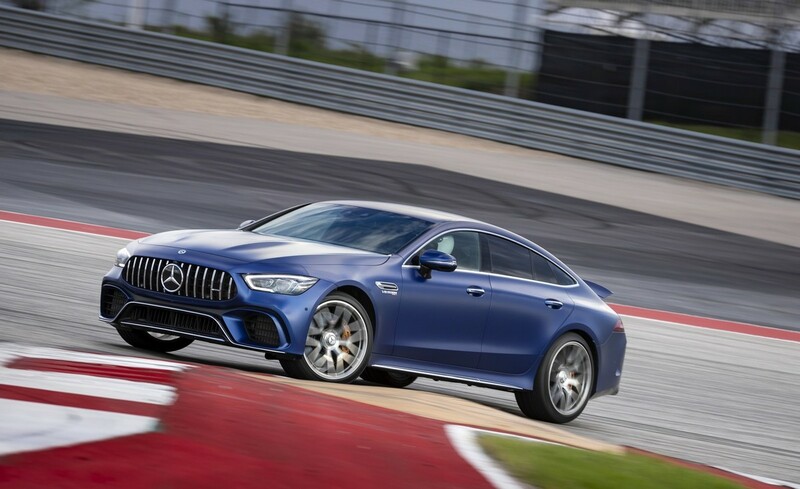 For those who like to attack a twisty section of blacktop occasionally, but don't want to drive the car at its limits, the 4Matic all-wheel-drive and rear-wheel-steering systems make the 63S pointier, exceedingly grippy and relatively wieldy. Compared with its aforementioned thoroughbred AMG brethren, the GT 4-door is probably the least sportscar-like of the 3 and can feel a bit heavy (it's not as quick to change direction and requires firm stomps to the brake pedal so that the ceramic discs can brush off speed). 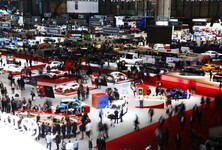 However, as a powerful luxury sedan, it has few peers performance wise. 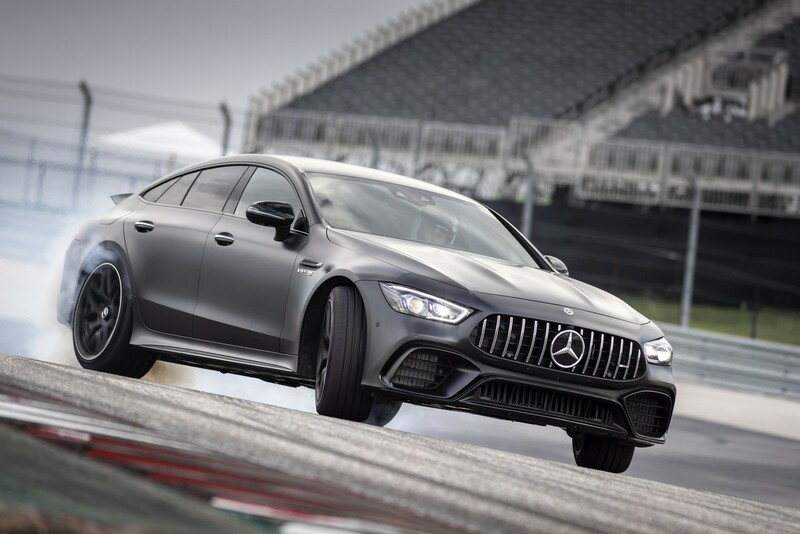 The brave and talented can switch out the traction control; they'll find that in its most intense modes, the Benz is a tyre-smoking, tail-sliding beast.